As I perused around the blogosphere today, I ran into this cool find by Not Just a Mommy. It was perfectly fitting for Foodie Friday. 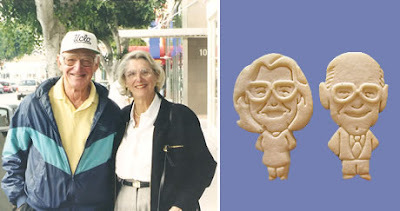 I love custom cookie favors, but these are not the average cookie. 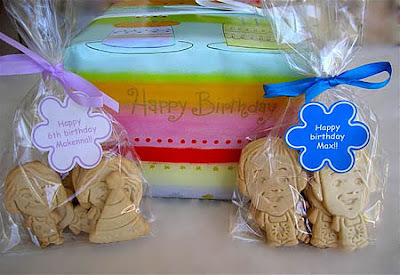 Check out these cookies by Parker's Crazy Cookies, they are crazy clever!! I am an avid lover of lace. It's classic, romantic, chic, and super feminine. If you are trying to achieve an ultra fem look, add lace! Here are a few pieces that you can incorporate to complete your look. Love this lace jacket for your invitation. 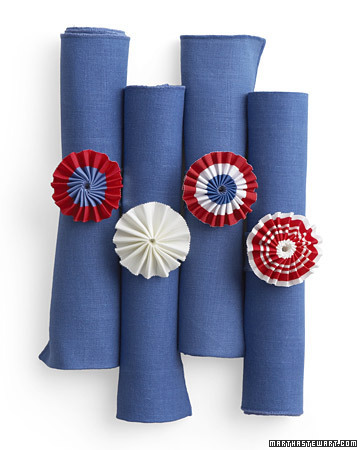 I absolutely love this little DIY touch from Martha Stewart Weddings! It's made from square doilies! 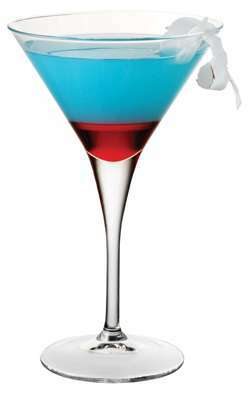 This martini will be perfect for your shindig this weekend! 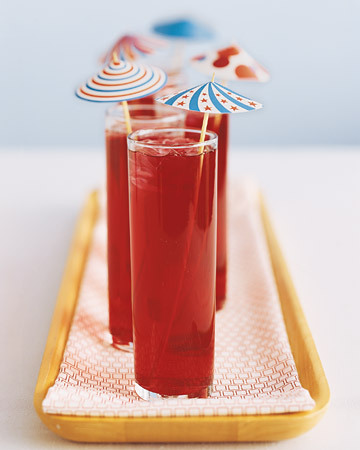 Get ready for Memorial Day weekend with these inspiring ideas. 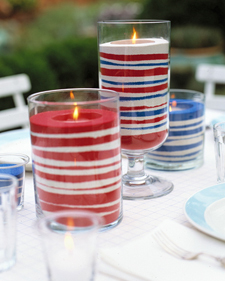 If you are planning to cook out, BBQ, picnic, here are a few ideas to add patriotic flair to your picnic table. Can you get more patriotic than is William Sonomatable? 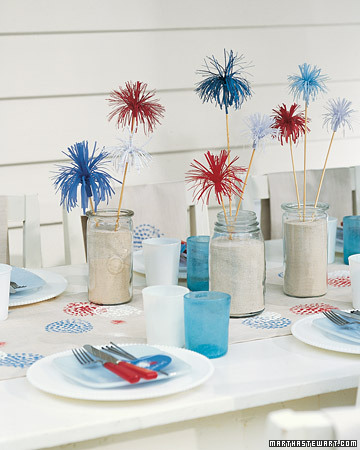 Doesn't this Pottery Barn table look refreshing? Store bought note cards turned custom invitations! Don't want to spend the $$ on a custom invitation design? Well don't! You can achieve a custom look without the custom price tag. I purchased these blank note cards from Target printed and embellished them myself with ribbon and pieces of Cinnamon. Just add ribbon or elements that reflects the theme of your party and WHA-LA.. a store bought note card turned custom invitation for less! It was great meeting the ladies from Soiree etc! I loved their table! Sorry for the dark photos..
Last night I participated in the 2009 Dining Spaces Competition. 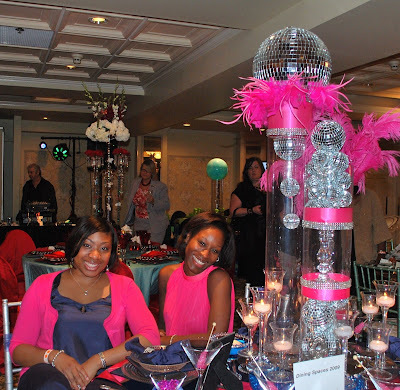 I teamed up with Opulent Creations Events, LLC to create a table design with vintage charm and modern Flair. With a fuchsia and navy color palette, it's glamorous, fun, festive, and very bold! We call it Cosmopolitan Glam. Though we didn't win, we sure did have a great time. The competition was fierce! There are some really creative people out there. I have lots of eye candy to share. Can you tell this was our table? Love is certainly "sweet" but even sweeter when you are getting married on a Caribbean island. 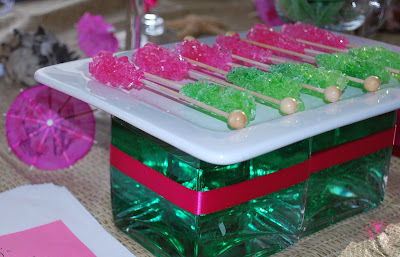 I recently created a candy buffet for a bridal shower. 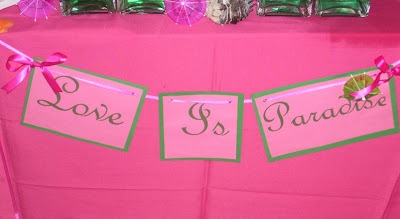 The bride is having a destination wedding, and her bridesmaids created a tropical pink and green Paradise themed bridal shower for her.